Documentary wedding photography or wedding photojournalism is all about creating beautiful wedding photography that tells stories. It’s about building a narrative using individual images, that when viewed together make an honest and attractive record of the wedding day. This is synergy – the whole is greater than the sum of it’s parts. And it’s pictures like this one above that help in making that work. It’s from Simran and Julian’s Indian wedding at Middle Temple last Autumn and shows one of Simran’s bridesmaids being fed a slice of pizza while bottle feeding her baby. Both bridesmaids are in their silk dressing gowns and you can see a ‘Team Bride’ banner in the background. 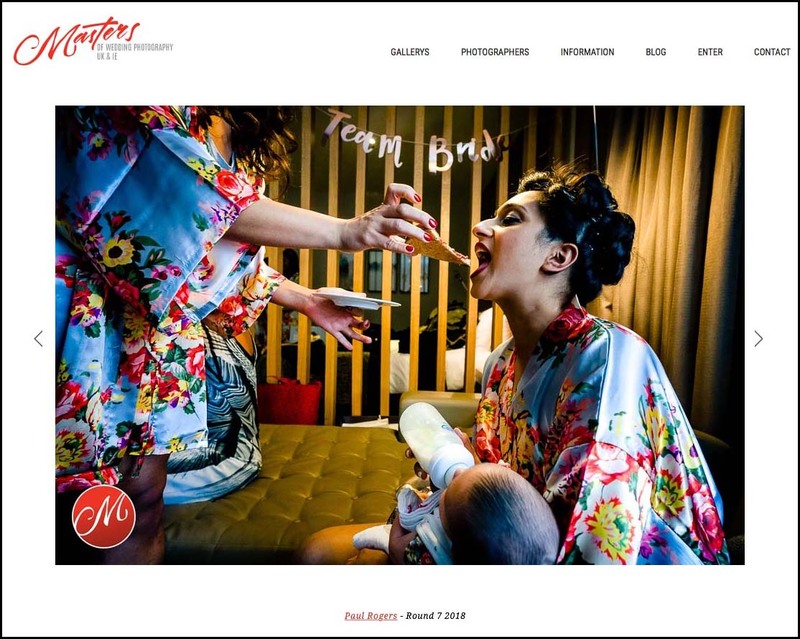 This all works to give the viewer a sense of time and place (we know this is bridesmaids during bridal prep) with the feeding actions giving the picture a focal point and relevance. I’m delighted that it was awarded in the latest round of the Masters of Wedding Photography contest. It’s the kind of picture that a photographer works at – these do not happen by accident. I spend a lot of time at a wedding looking for moments about to happen, and then finding a good way gf framing that moment. It’s then just a matter of timing in order to capture the perfect image for that moment. Middle Temple is a super wedding venue! Couples often have their wedding ceremony at the wonderful Temple Church before the reception. Here’s some more Middle Temple wedding photography to check out if you’re planning your day at this London wedding venue. Please get in touch if you’d like to hear more about how I photograph weddings. Documentary photography is one of the special types of photography for wedding. Middle temple is a fantastic venue for wedding. Awesome work by Paul.